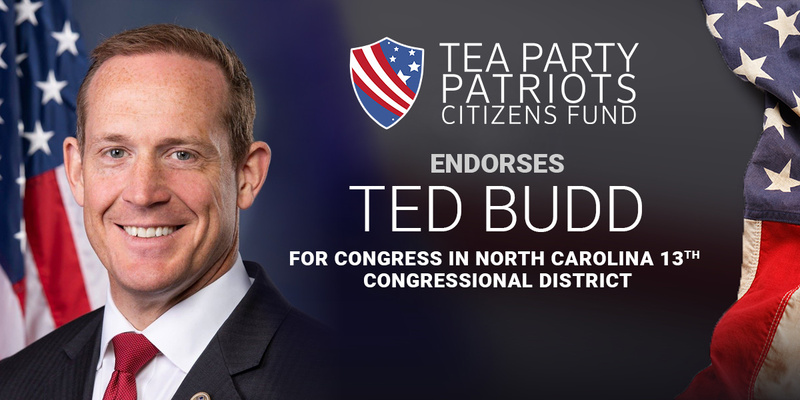 “In North Carolina’s 13th congressional district, the choice for conservatives is clear – Ted Budd for Congress. “Since coming to the Congress in 2017, Ted has distinguished himself as a solid constitutional conservative. He scored a strong 94 percent on the Conservative Review scorecard, ranking second only to House Freedom Caucus Chairman Mark Meadows in the North Carolina delegation. He scored an even stronger 95 percent on the Club for Growth scorecard, and, as a gun shop owner, he is an avid defender of the Second Amendment. “Just as importantly, he has shown he has the strength to stand up to his party’s leadership when necessary. He recently demonstrated that strength when he voted against the budget-busting omnibus spending bill.